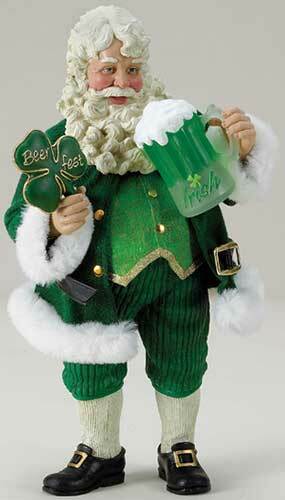 Wind up this Irish Santa and he will play the Danny Boy melody for you. This musical Irish Santa is named Beer Fest and he is accented with a fur trimmed coat and a green vest along with a frosty green mug of beer and a shamrock. 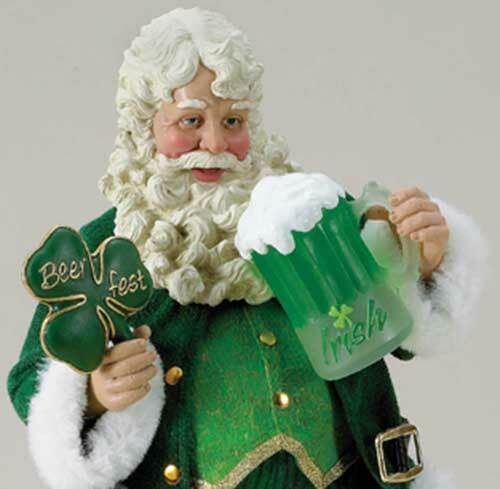 The Beer Fest Irish Santa is 10" tall and he is gift boxed with a shamrock history card, complements of The Irish Gift House. This Irish Santa is made of porcelain and Fabriché by KSA.